This one is also called Malnad kadubu if cooked on a banana leaf. My mom-in-law uses steel tumblers to make kadubu. Soak the channa dal for 4-6 hours. Drain out the water. Add all the ingredients mentioned to the idli batter & mix well. Grease the idli mould, pour around 1/4th cup of batter to each mould & steam the idlis for 5 mins. Enjoy the hot idli with a chutney or a side dish of your choice. Replace channa dal with cooked avarekai/avarekayi/surti papdi to make avarekayi idli. If you want the idli a bit spicy, feel free to add finely chopped green chilli. In the picture, I have served masala idli with channa dal chutney & chutney powder. I have been longing to do restaurant reviews ever since I moved back. Most of the days, I used to leave my camera & then visit a nearby place to hog-in. 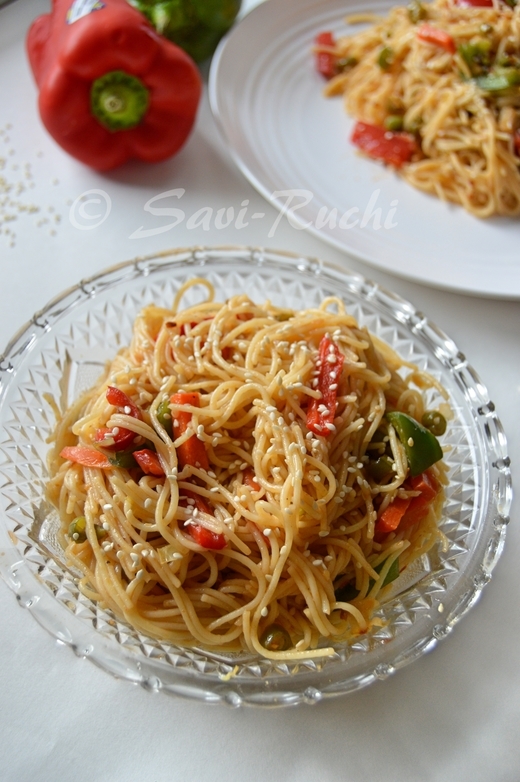 Finally managed with my bro-in-law’s camera & here I go with my first restaurant review. Please leave your comments, so that I can make better justice each time! I easily get carried away by the pamphlets that flow in with the newspaper, however my hubby does not!. 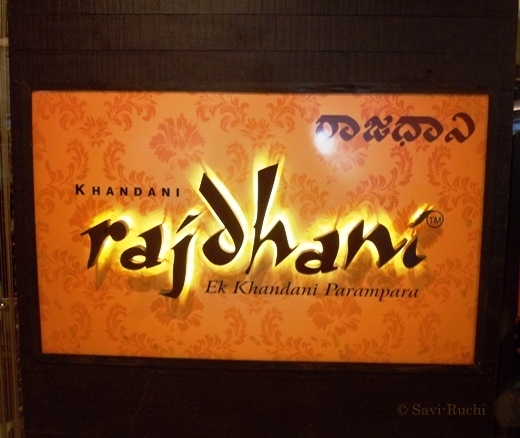 Rajadhani might be one of those very rare cases where he was tempted with the thali presented in the pamphlets. We decided to try this restaurant for a week end dinner & in a month's time, we went to the same place thrice!! Overdose of Rajasthani food.., but we loved over doing it. 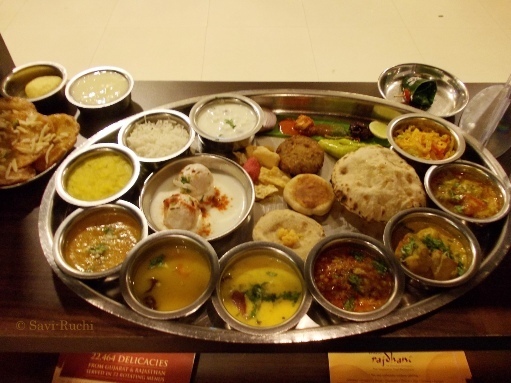 This thali was placed at the entrance of the restaurant. After we sat comfortably at our seats, the waiters brought a jug & basin to wash our hands before starting our meal. They did the same at the end of our meal too. We were also provided bottled water. After we washed our hands, the waiters started placing the starters, side dishes & main dishes on our plate at an amazing speed. 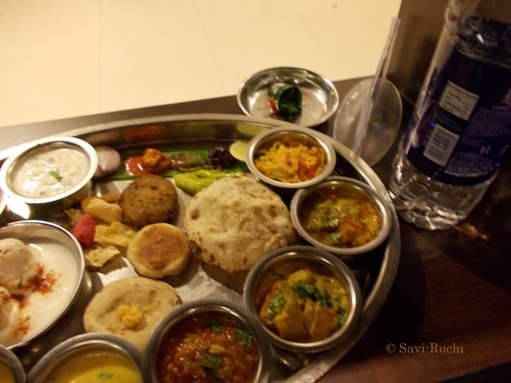 We had dahi wada & some cutlet kind of thing as starters, followed by a salad, pickle, chutney, (both sweet & spicy), fritters & 3-4 types of veg side dish, 2 types of dal (sweet dal & a spicy dal), a Gujarati kadi & many more. Indian breads we had were poori, phulka & a small/thicker version of obbattu/puran poli/sweet bread. Dessert was malpua & shrikand. Rice items were: khichdi, jeera rice & curd rice. We also had a glass of butter milk. They served a small portion of a dry side dish made with chickpea flour & green chili. I do not know the name of it. All the items served was unlimited including the starters & desserts. Each & every item served was delicious & looked authentic. To end the meal, we had a paan/beeda. 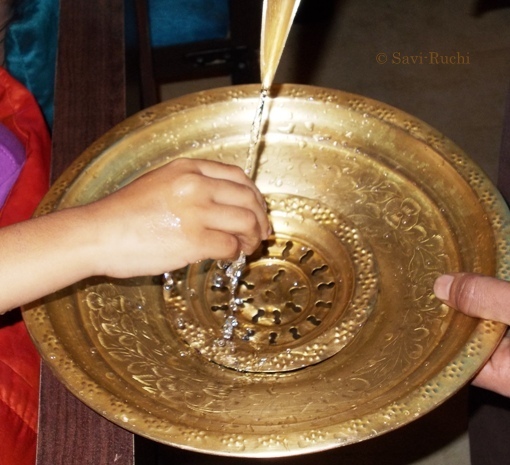 First time, when we went we paid around Rs 300 per thali. From the next visits, we paid around Rs 250. We felt that, every penny we spent is worth for the kind of food we got. Cost: Rs 250 per thaali. Will I visit again: Definitely. PS: This is not a paid review or a review requested by the restaurant.